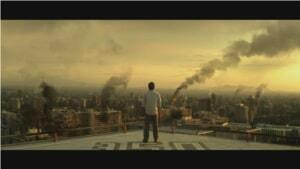 H+ The Digital Series is a great post-apocalyptic web-series premiered on YouTube in 2012. Season 1 finale was released in January 2013, season 2 is currently under production. 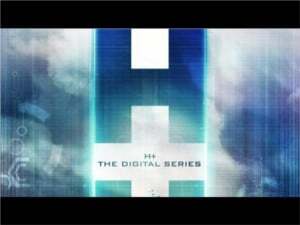 This series is available for free on the H+ The Digital Series official YouTube channel – worldwide except for 5 markets (Germany, Spain, France, Italy, Chile) as part of the production budget comes from selling the distribution rights in those markets. In the series, one-third of the world’s population has an implanted computer, named H+, connecting their mind to the Internet 24/7. But a virus infects the H+ implant, killing almost everyone implanted within few seconds, and provoking radical changes in the political and social landscape of the planet. Watch the trailer but keep reading after it! H+ is a really good production, recent winner of a few quality awards such as the Streamy Awartds and I definitely recommend viewing it! Why? Even if it’s not a Hollywood budget project, there are big names behind it. It’s produced by Bryan Singer, director, producer and writer involved in several successful sci-fi movies such as X-Men and Superman Returns), is distributed by Warner Bros Digital Distribution in partnership with YouTube, has an international cast with quality actors and it’s well-shot by the director Stewart Hendler. The plot is dynamic, complex and full of surprises and the pace is tense. Storytelling goes back and forward in time to different settings, in relation to The Event (the apocalyptic spreading and killing of the virus), and the episodes take place during The Event but also hours or minutes before or after it, or even years before (presenting major characters or conspiracy theories) or after it (showing how the world is trying to hold itself together). Each episode starts from the point of view of one character or another, and sometimes it’s up to the viewer to fill in the blanks and follow the different threads which move in time and space. io9 compared H+ to Lost, for the use of flashbacks and flashforwards and the complexity of the threads. And like Lost and other interesting shows, H+ starts off with more questions than answers, and new questions will pop-up by the time time you reach the end of the first season. But unlike Lost, viewers can (and are encouraged to) view H+ episodes choosing their own order. As the plot is non-linear, you can decide for example to watch the episodes as numbered by the authors, or playlists based on strict chronological order, or playlists following specific characters threads. Playlists created by fans are available for your choice in the official H+ Youtube page. You can also move from an episode to other related episodes using the jump points, an interesting feature offered by YouTube. The freedom in the viewing order, possible thanks to the web-series format and YouTube features, is an interesting bonus. But what I most like of H+ is, above all, the fact that this show is deep and thought-provoking. The main subject of H+ is transhumanism, a movement aimed at transforming the human condition by developing technologies to greatly enhance human intellectual, physical, and psychological capacities. When the creators John Cabrera and Cosimo De Tommaso started working on H+ in 2006, they researched heavily the current technologies to imagine how they would develop and impact on human capacities. The technology in the series can apparently seem really far away from today’s technology, but it’s actually not. As geek.com states in a good article on the technologies in H+: in many ways, the technology in H+ is just as sci-fi now as our current generation of technology would seem to someone in 2006. And the creators did an amazing job form this point of view. Their capacity in inventing extremely realistic future technologies is surprising, as are their attention to the technical details, to the usability and design of the interface. Most of the concepts they imagined back in 2006 are now being shaped in some forms: Google Glass, for example (and indeed John Cabrera has been invited to become Google Glass Explorer), or transparent smartphones created by Polytron Technologies, or biometric health sensors printed on the skin, or even a recent experiment of the Duke University showing that rats wired through a brain to brain interface can share information. 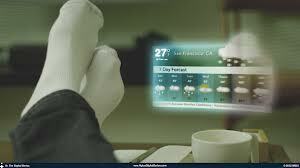 But do not think the show is just about technologies and gadgets. They really are used just as a pretext to raise more serious questions on the potential benefits and dangers of the technologies, and to challenge you with ethical dilemmas on the relationships of technology and humanity. This is what really makes H+ interesting to me. 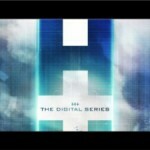 If you haven’t watched H+ The Digital Series yet, catch up with it before the second season starts. It’s been officially confirmed that season 2 will be produced in the same digital format, which is a great news for lovers of web-series (if you are interested, here a review of Electric City, another interesting but less successful post-apocalyptic web-series, produced by Tom Hanks and Yahoo!). And if you have already watched it, you might want to view again some episodes (perhaps choosing the annotated versions available in YouTube) or just explore the extra multimedia content available in the official website, in the updated H+ Facebook page and in the YouTube channel while waiting for season 2.